BlogWill Double Blind Peer Review Eliminate Bias in Scholarly Publishing? Will Double Blind Peer Review Eliminate Bias in Scholarly Publishing? Double Blind Peer Review: A Growing Trend? Peer review has consistently been a vital topic in publishing news, from ethical issues to new methods of conducting it. Considering the biases involved in approving papers, double blind peer review has been gaining more acceptance as well as criticism within the academic publishing industry. What is Double Blind Peer Review? 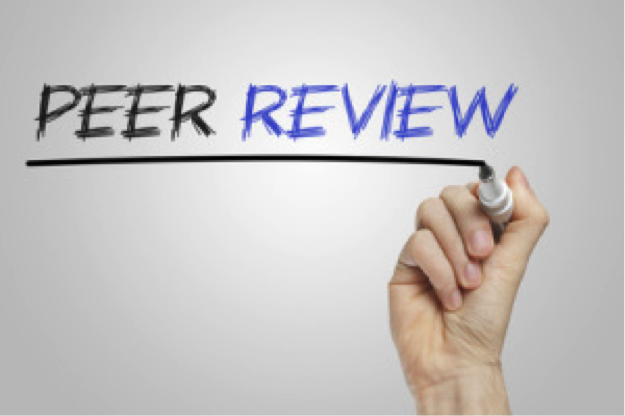 Bias has been a major concern among educators and researchers regarding peer review. The current process of peer review is single-blind,in which the author’s identity is known and the reviewers are anonymous. The process of double-blind review allows authors to request their names and their affiliations to be hidden from the reviewers. In one of the largest studies on peer review—a 2009 international and cross-disciplinary survey of more than 4,000 researchers (J. Am. Soc. Inf. Sci. Technol. 64, 132–161, 2013doi:10.1002/asi.22798)—76% of respondents indicated that double blind was an effective peer-review system. An increase in research quality has been reported as well. Advocates emphasize that double-blind peer reviews prevent bias based on seniority, institution, affiliation, reputation, and gender. Proponents view it as a vital source to increase fairness in the industry. In March, Nature research journals alloweddouble blind peer review. Last month, Future Science Group commemorated their fifteen-year commitment to double blind peer review. The International Review of Law has also affirmedits commitment to double-blind peer review. On the other hand, some editors question the effectiveness of the practice and doubt if authors can even successfully hide their traces from their work. With the growing acceptances as well as criticisms related to peer review, only time will tell the impact of double-blind peer review and if it will be an effective source in eliminating bias within scholarly publishing.